Are you six times better than you were in 1990? 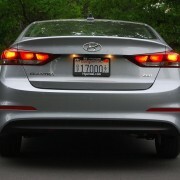 The Hyundai Elantra is. 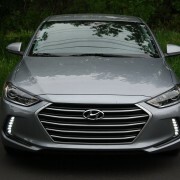 Over the intervening 27 years, Hyundai has introduced six new generations of this model, with the most recent coming just last year. 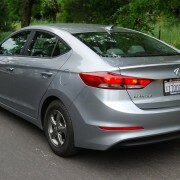 The original Elantra of 1990 was somewhat crude, and rather underpowered, but irresistibly cheap. The mid line Eco version of the 2017 Elantra is still a bit underpowered at 128hp, but far from crude. 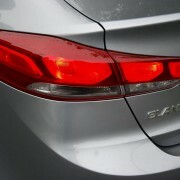 In fact it is one of the most sophisticated and fully equipped compact sedans on the market today. 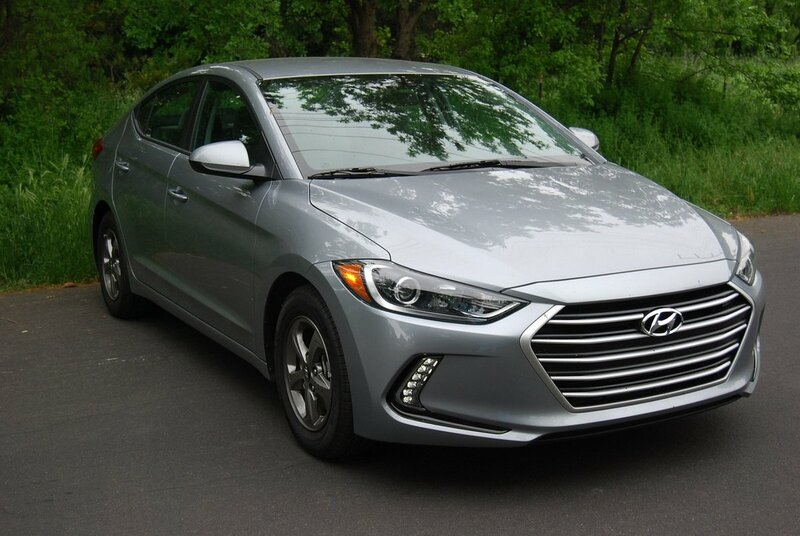 And like its distant forebear, the latest Elantra still makes a significant value-per-dollar statement with a base price of $20,650. 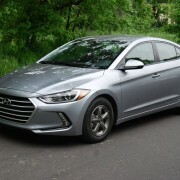 Hyundai offers three different versions of the Elantra, with the entry level SE being the least expensive at $17,150, and the Limited being the most expensive at $22,350. But just about the only amenity missing from the mid-level Eco we tested was an on board navigation system which is not optionally available. 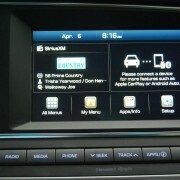 Everything else you could want or need is standard, including Apple CarPlay and Android Auto. With those two systems already in place, there’s no reason why you couldn’t use your smartphone for navigation duty. And really, when you buy a new car are you buying a new trip computer? 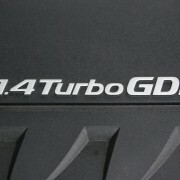 Or are you buying a mobility machine where over-the-road performance comes first? If the latter is true, you will be highly impressed by the capabilities of this diminutive, 2,865lb. 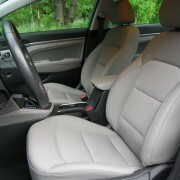 four-door, four person compact. 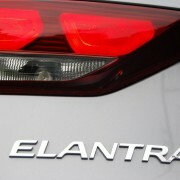 Whereas other variants of the Elantra utilize a 2.0 liter in-line 4 making 147hp – or 200hp in the new 2018 Elantra Sport – the Eco, true to its name, makes do with less displacement reduced output and stellar mileage. 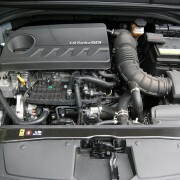 Although its 1.4 liter turbo produces just 128hp, the Eco motor does make 156lb.-ft. of torque. 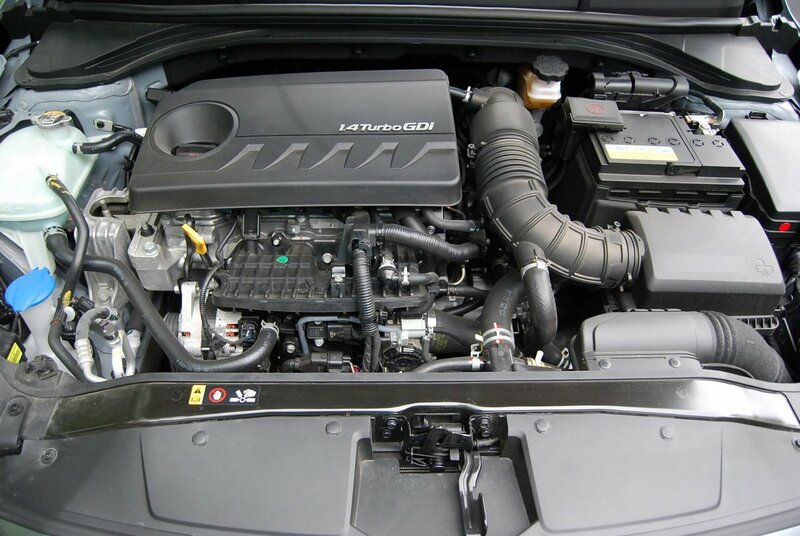 That easily perceptible torque rush is harnessed by an unexpected ally in this low cost family mover – a new 7 speed dual-clutch gearbox Hyundai builds, along with the engine, in Korea. 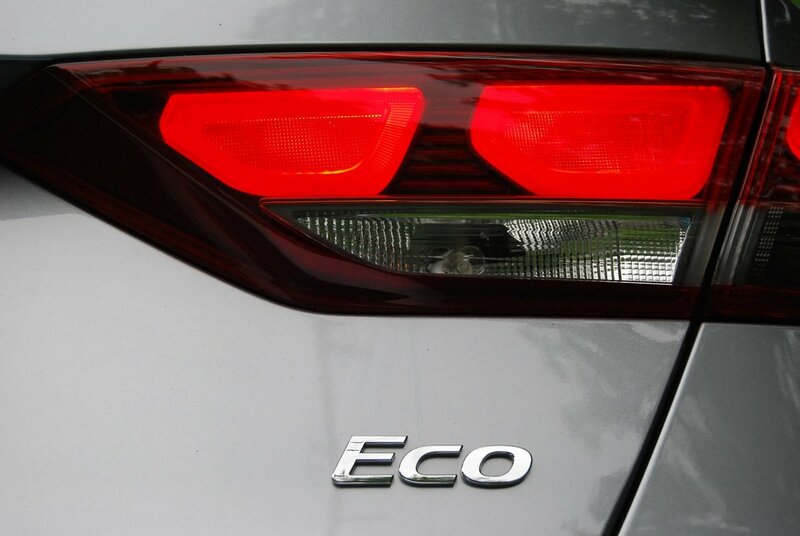 Final assembly of the Eco is done at Hyundai’s Montgomery, Alabama facility. 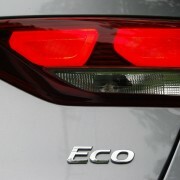 The sporting dual-clutch transmission maximizes the thrust of the Eco’s turbo. If you simply leave the floor-mounted stick shift in Drive range, the transmission reacts quickly to your power demands by dropping down a gear ratio or two when you floor the throttle. Both downshifts and upshifts take place with satisfying immediacy. You can exercise even more specific control by slotting the Shiftronic transmission into its separate manual gate. 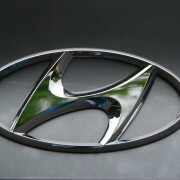 Hyundai has upgraded the interior of the Eco with soft touch surfaces at virtually all human interaction points. The standard heated front seats proved particularly welcome on blustery spring days when we especially appreciated the fact that both the horizontal and vertical cushions of the seat were wired for heat. Unlike some European sedan makers, who charge extra for proximity key operation and push button start, Hyundai includes these unexpected niceties for free on the Eco. You’ll also enjoy the visual clarity of the Eco’s standard 7 inch touchscreen, which offers logical and easy programming for the comprehensive infotainment system. 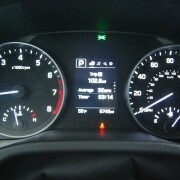 Supplementing the theatrics of the main screen is a smaller 3.5 inch TFT display panel, located between the tachometer and speedometer, which can be configured by steering wheel control to show a variety of travel-pertinent information. 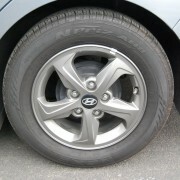 At first, i was somewhat dismayed to see that the Eco rides on rather narrow and tall 195/65R15 Nexen Priz AH8 tires, mounted on retro-looking five spoke grey ribbed alloy rims. 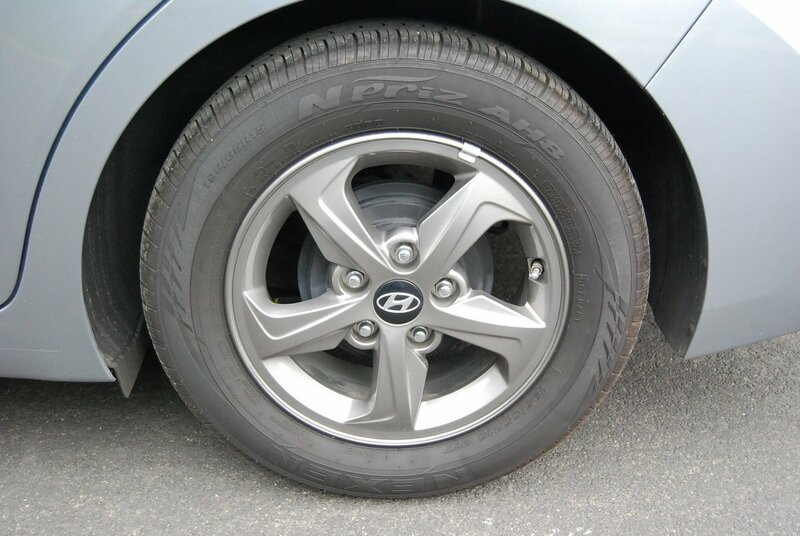 It’s been a long time since any test car has arrived with 15 inch rims, but after spending a week herding the Eco through a wide variety of curves and freeway ramps, these Nexen tires always managed to get the job done without audible protest or loss of grip. The best benefit of 65 Series sidewalls like these is extra cushioning over potholes. 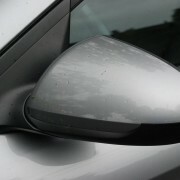 With California roads in total disarray this spring, the taller your sidewall, the better your ride. 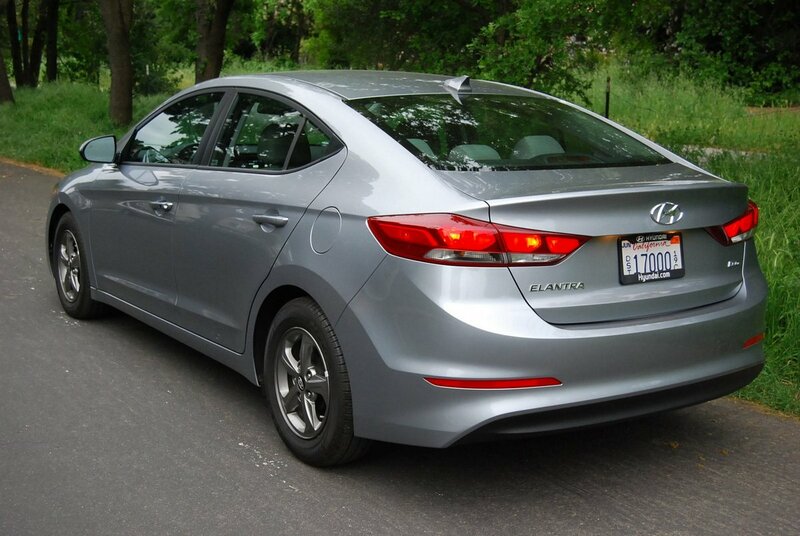 We spent a full day toting four adults up to wine country in the Elantra. We didn’t hear a peep of protest from the back seat, and you already know that the front seat occupants were well looked after. 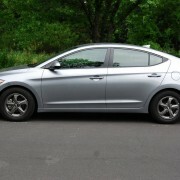 For comparatively minimal outlay, the Eco Elantra makes sound sense if you’re looking for a new set of wheels that will keep you humming to the tune of 35MPG in overall use. 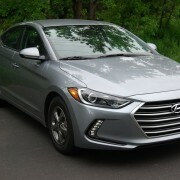 The Elantra has indeed come a very long way from that tractor-like sub compact Hyundai first shipped to our shores nearly three decades ago.